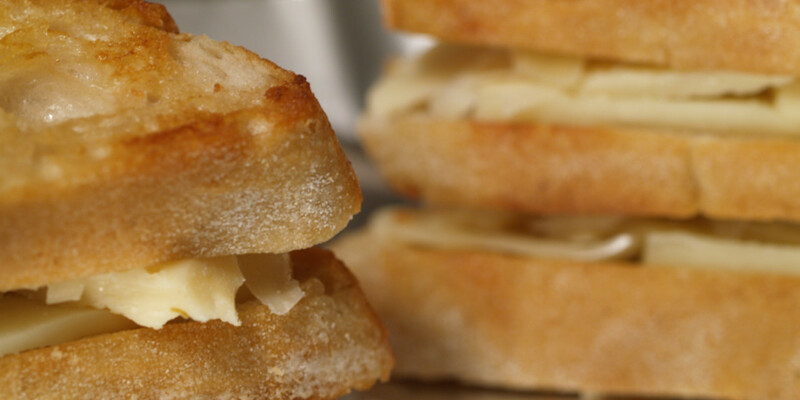 The sandwich was named after the 18th-century English aristocrat, John Montague, 4th Earl of Sandwich. According to gossip and rumor, Montague was said to enjoy this type of food because it allowed him to play cards/cribbage without getting dirty from eating meat with his bare hands. However, this rumor was debunked by John Montague’s biographer, N. A. M. Rodger. It was most likely because the sandwich allowed him to eat at his desk while working. 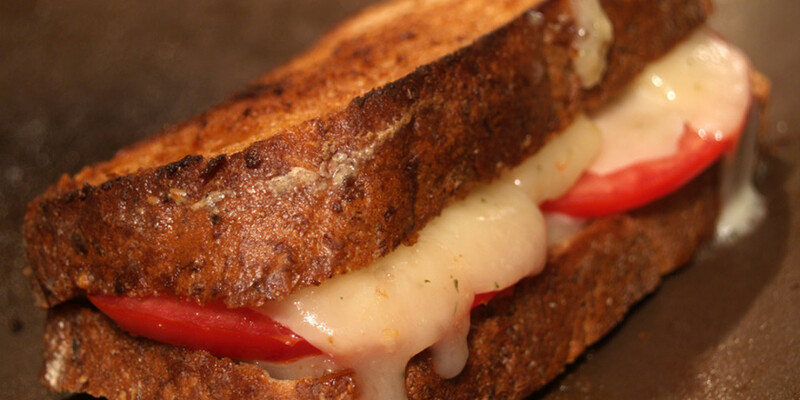 One question you may have is what is the difference between a toasted cheese sandwich and a grilled cheese sandwich? The Food Timeline has great linguistic answers. 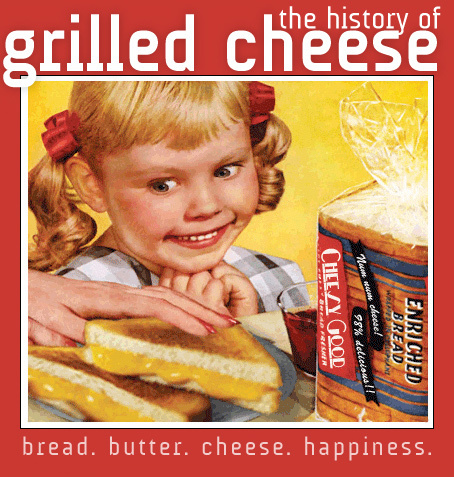 The site also notes that “toasted cheese” recipes were found in cookbooks prior to “grilled cheese” sandwiches. Oddly enough though, the title of the sandwich did not necessarily correspond to the instructed method of cookery. Now, children of all ages devour grilled cheese sandwiches in school cafeterias and off of restaurant kid’s menus. The grilled cheese sandwich has become so ingrained in our culture that in 2007, Kraft decided to use it to revive their Kraft Singles brand. The primary goal of the spending increase is to persuade consumers that Kraft’s venerable products can meet their changing needs. A case in point is Kraft Singles sliced cheese; Kraft will devote a campaign that begins today to the glorification of the grilled cheese sandwich. 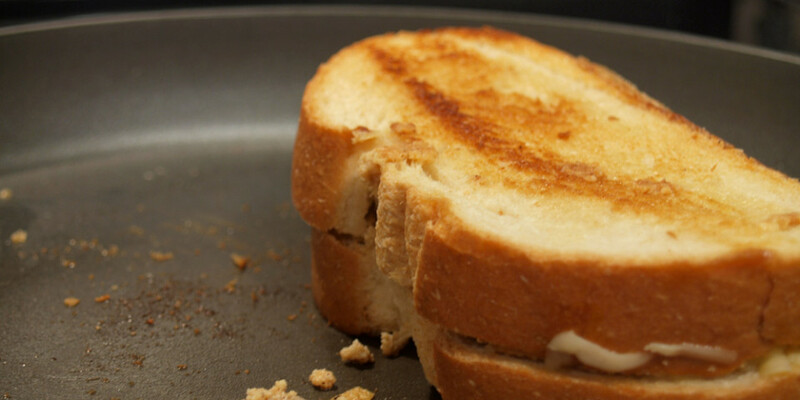 “In marketing-speak, we call it the ‘end dish,’ as in what’s the dish the product ends up in,” said Jane Hilk, vice president for marketing at the cheese and dairy business unit at Kraft in Glenview, Ill.
“If we can grow grilled cheese, and get grilled cheese back onto the list of quick menu options, we can grow our Kraft Singles business,” she added. I would like to thank The Daily Spud and the post Spud Sunday: Of Potatoes And Potato Eaters for the inspiration for this entry. Glad to have inspired a most enjoyable post! This is truly a most enjoyable post. I never knew, honestly, that the history of a simple sandwich could be so interesting. Coming from an Archaeologist, however, I’m not sure that your use of the Neolithic is correct as the Jewish people came into prominence well after the Neolithic and even the Bronze Ages. This is all speculative of course. I am glad that everyone enjoyed the post. It was definitely enjoyable to research and write. Sean, you may very well be right about my misuse of Neolithic as I may have misread Wikipedia, which we all know is never wrong. Here is the exact quote from the sandwich article. Bread has been eaten with other food since its invention in Neolithic times, for example, the ancient Jewish sage Hillel the Elder, is said to have wrapped meat from the Paschal lamb and bitter herbs in a matzo (or flat, unleavened bread) during Passover., but the concept of a sandwich (as opposed to a wrap) is more recent.